1.1. This website (the "Site") is operated by Collinson Singapore on behalf of Singapore Airlines ("SIA"/"we"/"us"). By accessing or using the Site you agree to be bound by these terms and conditions as amended or updated by us from time to time. 1.4. You must be over eighteen (18) years of age to use this Site. You are only permitted to use this Site for your own private and non-commercial use. Do anything that imposes or might impose an unreasonable or disproportionately high load on the Site. 2.1. 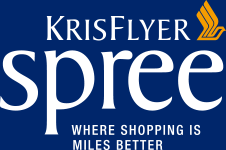 When you purchase goods and/or services through a third party merchant advertised on this Site you will be entitled to earn KrisFlyer miles, as long as you have logged into your KrisFlyer account on Singaporeair.com. 2.2. KrisFlyer miles collected by you are governed by the KrisFlyer terms and conditions, which are available here. 2.4. KrisFlyer miles will not be awarded on the purchase of gift vouchers or on taxes and/or delivery charges. 2.5. We reserve the right to cancel any KrisFlyer miles awarded to you in respect of a purchase that you subsequently cancel (i.e. if you didn't pay for or later returned the goods and/or services for which the miles were awarded). 2.6. Any claim for missing KrisFlyer miles must be made to us in writing within 60 days of your purchase. All claims are resolved by us at our sole discretion. 2.7. No status miles will be earned for any purchases made via Online Shopping. 2.8. KrisFlyer members earn miles on every dollar spent. Purchases are made in local currency. 2.9. 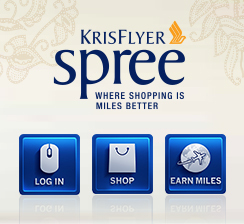 In order to earn miles the shopping transaction needs to be in the name of the KrisFlyer member. 3.1. We make no warranties or representations in respect of the content of the Site (including in relation to its availability and/or any virus or other harmful component) other than as required by law. 3.2. All information contained in and/or on the Site is made available to you for guidance only and your use of such information shall be entirely at your own risk. 3.3. We expressly exclude, to the fullest extent permitted by law, any liability for loss or damage, howsoever arising, suffered by you as a result of your use of the Site. 4.1. The Site contains references and/or links to the websites of third party merchants and/or advertisers. We have no control over and are not responsible for the content of any third party websites, nor for the goods, services and/or information supplied through them, or for any charges you incur as a result of your dealings with any third party. 4.3. In no event whatsoever shall Singapore Airlines be liable, either directly or indirectly, for any loss or damage howsoever arising for personal injury, death, property, nor for pecuniary loss or damage arising out of your use of such goods, services or information offered by a third party. 5.1. We may from time to time collect information from you relating to your use of the Site. We use this information to provide and personalise the Site and other services you have requested. 5.2. We sometimes obtain additional information about you from other sources, including your demographic and lifestyle information from third parties. 5.3. You consent to us disclosing to third parties information that you have provided (or that we have obtained from you) about your account and/or shopping behaviour. 5.5. We may also process your information to the extent permitted by law. 6.3. We reserve our right to withdraw, cancel or vary at any time without notice to you any service or benefit provided or offered to you as a KrisFlyer member and in no event will we be liable for any loss or damage, howsoever arising, suffered by you as a result of our withdrawal, cancellation of variation. 6.4. Under no circumstances may you provide a link to this Site from an external website unless you have our prior written consent to do so. 6.10. Your use of the Site is governed by and interpreted in accordance with the laws of England and you agree to submit to the non-exclusive jurisdiction of the English courts. 6.13. Singapore Airlines retains sole discretion to close any KrisFlyer account as per the KrisFlyer Terms and Conditions if we suspect dishonest or suspicious behaviour. 6.14. If coupon/voucher codes that are not listed on our KrisFlyer Spree website are used, the transaction will be invalidated from earning miles.